DPR team driver David Robinson leads the championship by four points. A solid weekend for David saw him qualify P2 in full wet conditions. Race One saw a damp/drying track and David dropped back to finish P4. However in a dry Race Two David finished P2 behind guest and Caterham development driver Jon Barnes. As a guest driver Jon Barnes does not score any championship points allowing David to score maximum points together with a valuable point for fastest lap. Aaron Head collected a penalty for contact in Race two resulting in nine points taken off his championship total. With dropped scores to take account of Aaron may close the gap so it’s still all to play for at Silverstone. Newcomer to Team DPR Sean Byrne had one of his best results in Race Two with his 5th place ahead of both Terry Langley (6th) and Andy McMillan (7th). DPR team driver Jon Mortimer leads the Supersport championship by six points. With seven DPR Team Supersport cars in this year’s championship it was always going to be close between the highly-competitive team drivers. Wet qualifying saw James Robinson take P2 - the highest of the DPR team. James then went onto finish P2 in Race One following an epic battle with Mike Hart, and Jon Mortimer finishing P4. In Race Two a problem with James’ nosecone saw an unplanned pit stop, moving him down the order. Jon Mortimer then went on to finish in P3. The results of the weekend mean that just four points separate them on dropped scores so any of the top three drivers are in with chance of a championship win at Silverstone. 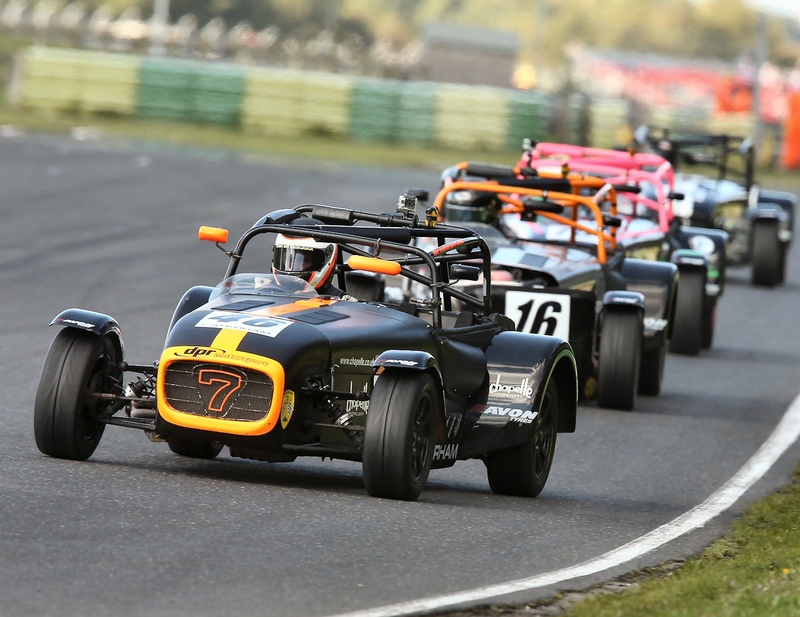 DPR team drivers Nick Portlock and Ian Sparshott had a great Croft weekend, qualifying P2 and P5 respectively. This was Nick’s best qualifying all year helped by a good setup call by Nick & the team and coaching advice from Ben Clucas. With some solid results over the weekend Nick should have P3 overall in the bag in the championship- well done, great achievement! Also congratulations to DPR setup customer Christian Szaruta qualifying P1 in the wet and also finishing P2 in Sunday’s race. 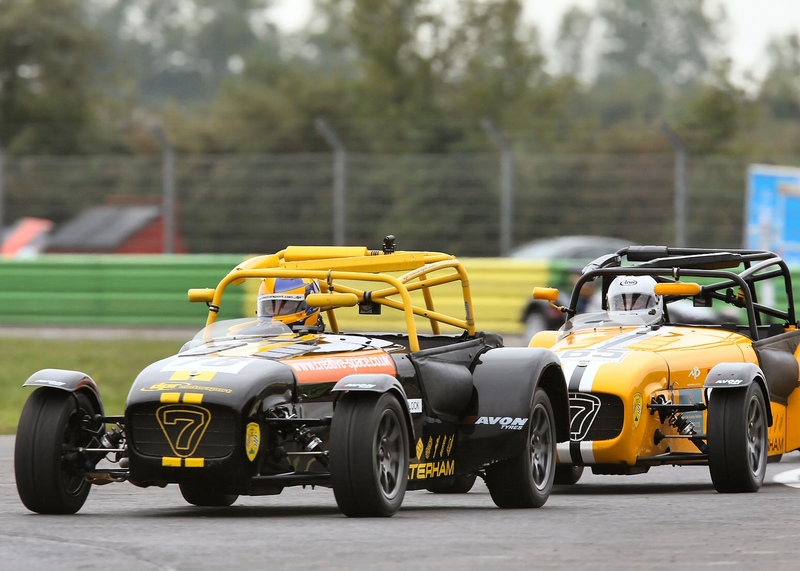 A very promising first year for Christian in Caterham Motorsport. Two wins by William Smith regains the championship lead but all to play for at Silverstone. This year has been super-competitive for the Roadsport guys. 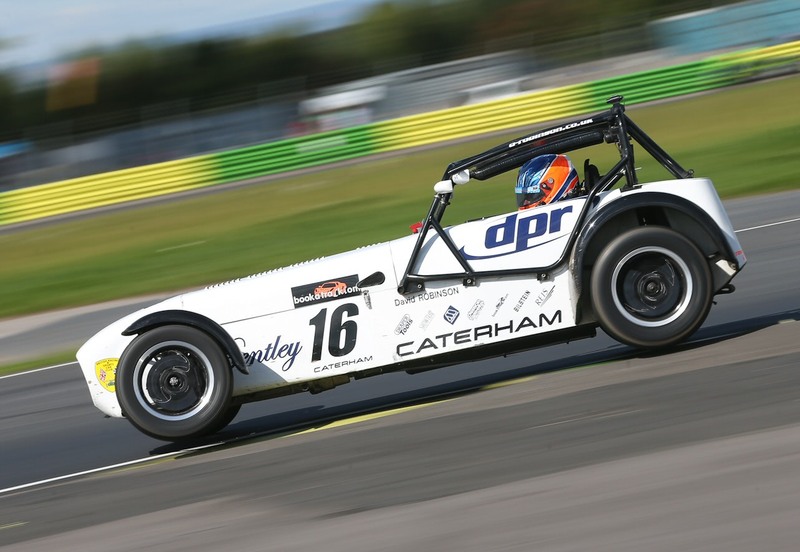 Two wins by DPR setup customer William Smith at Croft took him deservedly to the top of the Roadsport championship. DPR customer Chris Hutchinson is currently P2 in the championship followed by Jack Sales and Dan Gore. It’s looking tight at the top and the championship can go one of three ways at Silverstone. In Academy Group One DPR setup customer Alistair Calvert extends his championship lead with a win at Croft and with Olly Wigg’s exclusion this should mean the championship is his provided nothing untoward occurs at Silverstone. In Academy Group Two DPR setup customer David Webber gets a further win to his credit having only had one non-1st place finish at Rockingham. This makes David the Group Two champion, again subject no penalties at Silverstone.